The onset of fall has brought to Russia, as it often does, flu and conspiracy theories. Back in the news is Moscow’s seasonal talk of an imminent American biological attack, to be launched from medical research labs in Russia’s neighborhood. In this telling, Russian pigs have become the first victims of a test run for a future offensive on humans. That was the insinuation from a recent press conference by the Russian Defense Ministry, which has noted that swine flu has been spreading to Russia from neighboring Georgia, home to a U.S.-sponsored medical research laboratory known as the Lugar Lab. And Moscow is bracing for things to get worse. “The U.S. is systematically building its biological potential and is getting control over national collections of pathogenic microorganisms” around the world, Major General Igor Kirillov told the October 4 press conference. Russian defense officials described the U.S.-sponsored medical laboratory in Georgia as a mothership in a network of similar facilities built around Russia, “in Azerbaijan, Ukraine and Uzbekistan,” that can serve as launching pads for a germ war on Russia. These accusations are not new. The epidemiological surveillance lab in Georgia, created to prevent outbreaks of epidemics, has long been the reason for paranoia outbreaks. The U.S. government spent $350 million to set up the facility in Tbilisi, equipping it with a regionally unmatched capacity to detect and mitigate infectious disease threats. 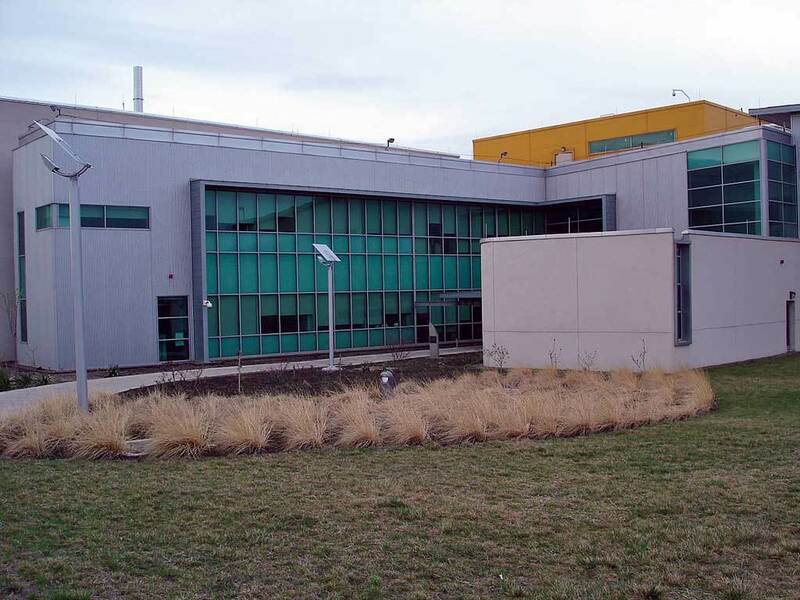 The lab – formally known as the Richard G. Lugar Public Health Research Center – is named after the former U.S. senator and non-proliferation activist, hence the Lugar Lab sobriquet. But the U.S. funding and the involvement of American military medics turned the lab into one of Russia's favorite information war punching bags, aimed at spoiling its neighbors ties with Washington. State-run Russian media has regularly targeted the lab in a vigorous scare campaign portraying the facility as a Pentagon-run petri dish of biological and chemical weapons, where unsuspecting Georgians serve as lab rats. “Local residents tell us terrifying stories about the Lugar Lab,” ominously began one recent report by Russia’s Sputnik news network. “The wind brings a terrible stench, as from a stinky outhouse, [from the lab],” one elderly local woman told Sputnik. The story went on to claim that from 2014 the lab unleashed giant mosquitos and bats carrying viral infections across Georgia. These tales tend to be laced with images of dead animals, biohazards signs and spooky video effects, and sci-fi horror tropes (think Andromeda Strain or Kiss Me Deadly). This correspondent visited the Lugar Lab last year and was disappointed to find a prosaic-looking research facility with no terrible stench, dead animals, or human subjected to experiments, but Russia can always argue that journalists don’t to get to see everything. But the source of the latest outbreak of ex-Soviet mysophobia is a shadowy former Georgian security minister, Igor Giorgadze. In September, Giorgadze called a press conference in Moscow to declare that the American military was conducting lethal experiments on humans in the Lugar Lab and that it is all part of Washington’s Strangelovian plans for Moscow. Giorgadze based his claims on documents that he allegedly obtained from the lab. Giorgadze claimed that he had asked U.S. President Donald Trump to look into the work of the Lugar Lab. Trump has not said or tweeted anything about the lab, but Russian security and defense ministries followed up with a warning for Washington. In Georgia, Giorgadze is widely seen as the KGB’s point man that late former President Eduard Shevardnadze was forced by Moscow to have as minister in his government. Giorgadze fled Georgia in 1995 after being accused of orchestrating an attempt on Shevardnadze’s life. Russian propaganda watchers are now saying that Giorgadze and Russian officials’ statements are part of a carefully planned information campaign, spread and amplified by Russian and pro-Russian international media. “The reemergence of Russian media interest in the Lugar case coincides with charging [of] two Russian citizens in Britain with attempted poisoning of Sergei Skripal, [a] former Russian GRU office, and his daughter, Yulia,” said the Media Development Foundation, a Tbilisi-based non-profit group that keeps tabs on Russian propaganda. Some also linked the recent Russian preoccupation with biolabs with the series of indictments against Russian spies in the U.S., Britain and the Netherlands. The Pentagon echoed that analysis, with spokesman Eric Pahon saying that the Russian defense ministry’s claims were an “attempt to divert attention from Russia’s bad behavior on many fronts,” AP reported. Officials in Georgia and Azerbaijan also refuted Moscow’s accusations. Azerbaijan's Defense Ministry said the country has no foreign government-operated medical laboratory, while Georgian officials said that the Lugar Lab, although built with American money, is now fully controlled by Georgian authorities. U.S. military medical researchers continue to work at the Lugar Lab and insist that their work is entirely public health-oriented, but Moscow is not buying it.